Labrador Retrievers are known to be one of the most popular breeds of dog in the world for a number of years. Although Labrador Retrievers were initially bred for hunting, they are an ideal breed of dog for families. They are good-natured and intelligent breeds of dog and they are easy to train, lead and control. They also act as a guide for blind people and they are a great search dog. They are very loyal and also one of the smartest breeds of dog in the world. They are energetic dogs and can cause chaos if left untrained. Labrador Retrievers are medium sized breeds of dog and usually come in three color variations, namely yellow, black and chocolate. They are often used to work, hunt and run because they are easy to train. Law enforcement agencies use Labrador Retrievers for search and rescue missions and for a drug search. Labrador Retrievers are easy to train because they have a strong desire to please and are very intelligent so they learn fast. If you are planning on training a Labrador Retriever and this is your first time, you have to learn about all the characteristics that make them different from other breeds of dog. Although a Labrador Retriever may look ignorant and distracted in his puppy stage, he is ready to start learning. If a Labrador Retriever is not trained early when he is a puppy, he will start developing unpleasant habits. And the older the dog gets, the more challenging it will be to change his behavior. 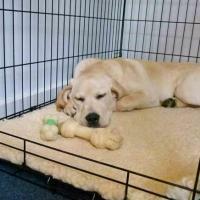 It is best to start training your Labrador Retriever puppy when he is 8 weeks old. At this age, the dog process new information at a very fast rate, while trying to create his own order out of disorderliness. When your Labrador Retriever is 8 weeks old, you should immediately start eradicating behaviors that you do not want your dog to develop as he grows older. You eradicate unwanted behavior from your Labrador Retriever by using gentle discipline and imposing a routine. It is best to start imposing discipline on your dog the first day it enters your house. Start by assigning a place for the dog to eat and a place for him to go potty, one that you will allow him to be used from the start to the end of your dog training. If he uses the assigned place to go potty reward him with treats and affection, this will help the dog to associate the behavior with rewards and encourage him to repeat it. 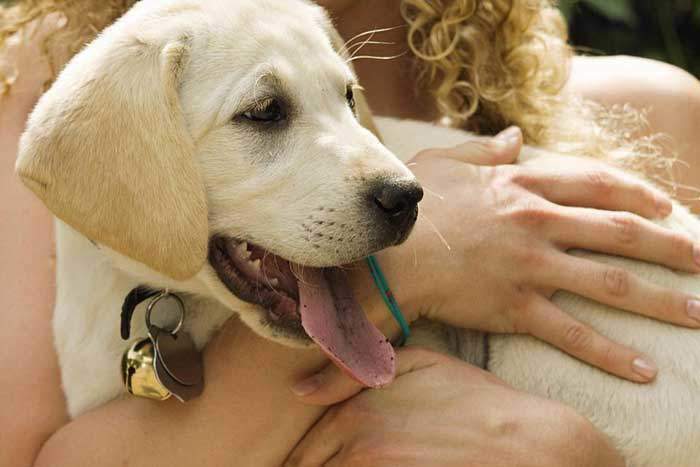 You can start training your Labrador Retriever puppy by teaching him the SIT command. He might be confused at first, but soon he will understand the connection between the word and the action. Labrador Retrievers have a strong desire to please people. You can use their genetic predisposition to be good companions by making sure that your Labrador Retriever puppy is properly socialized. You should teach him how to cope and connect with people and dogs. Since Labrador Retrievers are a very social breed of dog, they like to feel that they are not alone, so early socialization is important to their well-being. This means that you should introduce your Labrador Retriever to as many new people and places as possible during their puppy stage. Make sure that new meeting is a positive experience for the puppy so that it will reinforce your Labrador Retriever puppy natural instinct to be friendly. Early socialization of your Labrador Retriever will help create the confidence that he will use to behave himself as he grows older. The more familiar your Labrador Retriever is to the world around him, the lower the tendency for your puppy to jump on people and guest when he grows older. Labrador Retriever puppies are eager to learn and they are energetic, affectionate, enthusiastic and they love treats which make positive reinforcement dog training the best method of training them. Reward your Labrador Retriever puppy with treats and praise whenever he exhibits a good behavior, this will help the dog to associate the behavior with rewards and encourage him to repeat it. If you are using treats to train your Labrador Retriever, use small treats to reward good behaviors because Labrador Retrievers have a tendency to become overweight. And also make sure you decrease the quantity of food you are giving your dog at mealtimes or increase exercise to compensate for the treats. Remember to give the dog the command and then reward him immediately after he carries out the action. This helps the dog to associate the action with the reward. And once the dog is repeating the good behavior regularly, make the reward giving less predictable. This is to ensure that your dog does get sloppy because the treats are easy to get. Start skipping the reward giving once in a while to sharpen his thinking and make him wonder if he did not sit fast enough or well enough and therefore make him work harder to please you. This will not discourage him but it will make him realize that the reward is hard to earn. Do not beat or hit your Labrador Retriever when they behave badly because it is not an effective training measure. If you beat your dog, he will instead become fearful of you and this is not the desired result. Labrador Retrievers are energetic and enthusiastic which makes them the ideal breed of dog for active families. If you do not give your Labrador Retriever enough exercise, he can quickly become bored and this results in the development of destructive behaviors and other behavior problems like chewing, digging and barking. It is best that you make sure your dog is active, make sure you give your Labrador Retriever an hour or more exercise on a daily basis. You can also take him on long walks (Labrador Retrievers love long walks) or play a game of fetch. This can help improve your Labrador Retriever’s psychological health and also help burn off your dog’s energy. Obedience training is the act of teaching your Labrador Retriever essential commands to enable him to differentiate between right and wrong. These essential commands are not just for fun, but they can also assist you in dealing with behavior problems in your dog. That is, these essential commands will assist the dog in killing off boredom which can result in destructive behavior in dogs. These essential commands can assist you in keeping your dog under control and also teach the dog a sense of order and structure. 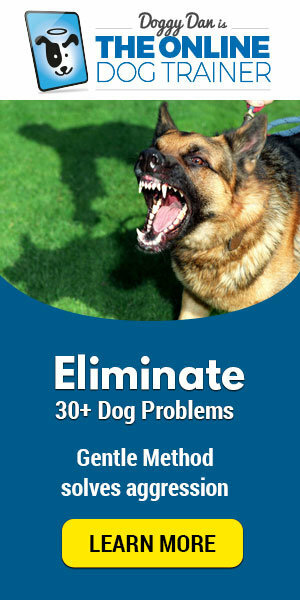 These commands are a way of teaching your dog basic discipline and respect for you. Are you looking for a dog trainer, you can find some of the best trainers online. Doggy Dan is one of the best online trainers in the world. 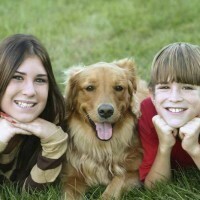 Visit http://theonlinedogtrainer.com to get one of the best dog training online.